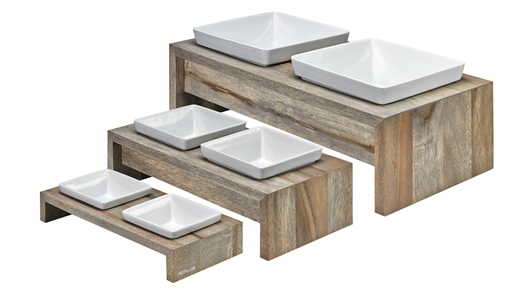 The unique grain and natural beauty of our hand crafted Rubberwood Artisan Feeders enhanced by our soothing neutral finishes creates a rich, chic look. The Artisan Feeder is a new sophisticated option to today's bulky stainless steel feeders. Add on single feeders for drinking water or for feeding additional dogs. Stylish ceramic bowls are dishwasher safe and lead free.